Hi - just after advice/opinions really. 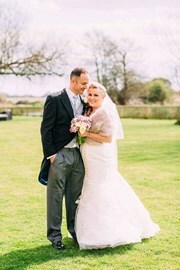 I ordered my wedding dress from a stand at the National Wedding Show, 6 months before the day. They took my measurements on the day. Before I bought it, I asked how many fittings I was likely to need, as the shop was a 2 hour round trip from my house, and was told I would probably need 2 or 3 maximum (I loved the dress, so thought a couple of trips would be worth it!). She said the dress would probably only need a few alterations, plus the length, as they'd taken my measurements. The dress came in to the shop 6 weeks before the wedding, and I went for my first fitting. 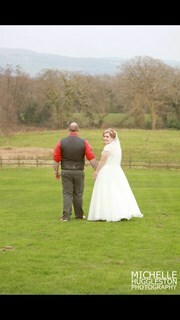 The dress was absolutely massive on me, it was a size 16 (I am a size 10 normally). I can understand ordering a size bigger to allow for alterations but when I commented, the woman in the shop said "have you lost weight?" and I said yes a bit, but not 3 dress sizes! I was told it would be £175 for the alterations as there was so much to be done. I had to pay in advance and I felt pressured as the wedding was so close and therefore had no option but to go ahead. In the end, I needed to go back 5 times and alterations were still being done in the week of the wedding. At each of the visits before final collection there was always something different to be altered due to the amount of material that had to be removed. At one point I was even asked if I would consider making it strapless as I could not get my arms in the sleeves! I was seen by 2 seamstresses, the first looked at the dress and said that she wouldn’t have altered the bust darts the way they had been done and the corset bones should have been moved to allow for better fitting. At my next appointment with a different seamstress we noticed that the left shoulder strap was gaping and I was informed that this was due to me having one collar bone more prominent than the other. This hadn’t been an issue at previous fittings. A new fault had also appeared on the front of the dress in the form of puckering on the underskirt - I was asked if this was my “knicker line” or told could be due to my stomach! Obviously during this time I didn't make too much of a fuss, as I needed the dress altered in time for the wedding. However afterwards I wrote to the owner of the shop with my concerns, and asked her to refund the cost of the alterations as I feel it was their mistake originally in ordering such a large dress that meant I had to go back so many times. I was just wondering how large other brides' dresses were on first fit, and how many fittings people needed? I'm wondering whether to pursue it further to try and get some of my money back. Any advice or opinions gratefully received! Wow that sounds like you had a really bad experience. When I found my dress is was a UK size 16 I'm actually in between a 14 and 16 at the mo and hoping to get to a size 12 by the wedding (April). I'm actually going back on Saturday to orded the dress the shop have been monitoring my weight loss and will decide on Saturday to either order a 16 and take it in or a 14 for me to slim down to (and potentially take in if I do get to a size 12). They have said what ever dress size I order be it the 16 or 14 and whatrver size I end up at be it stay the same or a size 12 they can take the dresses in up to two dress sizes (I think a dress size equates to a stone as a rule of thumb). Any bigger or smaller then there would be too much work to do and it may alter the style of the dress. I would pursue your complaint. Maybe get some advice from another store, maybe just a phone call as a potential bride as to what to order and what they can take in etc. I don't have much experience as have not had my fittings for my alterations yet, but my dress has arrived and I've tried it on already (I couldn't wait). I'm a size 6 in most high street stores and when the bridal shop measured me up the lady said they would order an 8. They had a special sheet full of the dress designers standard sizes (bust/waist/hips) and they matched up my measurements. To me, it sounds completely ridiculous to order in a dress 3 sizes too big! Hope you manage to resolve the situation with the shop. the shop are telling you absolute nonsense! I'm a size 16 and my dress was ordered in a 16 as the sample fitted like a glove. I had no alterations, there was a small piece of the netting underskirt that was slightly too long which was trimmed off when I tried the dress on to check it was all ok on arrival at the shop and that was it, zero cost for alterations and I didn't have any other fittings. my sister is a 10 top and 12 bottom, her dress was ordered in a 12 and the top adjusted which required 1 fitting and cost £50. It sounds like the shop messed up your measurements and are now trying to cover up their mistake. I was told that they could adjust 2 dress sizes but any more and its a lot of work which can change the shape/style of the dress. Did you measure a 16 anywhere? I'm typically a 10 in shops but when buying my wedding dress I measured a 12 on hips, 10 on waist and 8 on the bust so a 12 was ordered and it was altered to fit elsewhere. Hope you don't think I am being cheeky but that is really the only explanation I can think of for it being ordered 3 sizes larger than you are normally! When I was married, the shop ordered my dress just ONE size too large and had a devil of a time altering it down for me. In the end, it was still too big on my wedding day, but they waited until the absolute last minute to do the alterations, so it was too late for anything to be done about it. Anyway, my point is, that NO, shops typically aren't going to order a dress that far off from your original measurements or size, because the rule of thumb in the wedding industry is, that attempting to alter a dress more than two sizes usually results in disaster! Due to the complexity in these garments (boning, layering of fabrics, lace trims, beading, etc.) 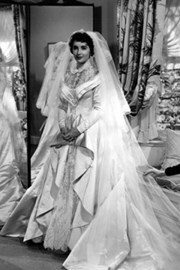 making alterations to accommodate more than two sizes larger or smaller can dramatically affect the overall design of the gown. I agree with the ladies above: the shoppe made a mistake in ordering and is now trying to act like it was intentional. I would pursue this further with them. Your experience sounds awful - especially if you felt pressured as well. I would keep the pressure on the shop for a refund of the cost of alterations because ordering a dress 3 sizes to large to start with, given that most brides lose weight rather than gain it before their wedding, seems like a mistake to begin with. If I were you I'd also contact the dress designer directly - or a couple of them (not necessarily yours) and ask for their professional opinions to back up whatever communication you have with the shop. Thanks for all your replies ladies - glad to know I'm probably not over reacting! I think I'll ask advice from a couple of shops/designers before going back to the shop, then I'll have a second opinion to back me up. I really do feel like they messed up and are trying to avoid taking responsibility so think I'll try to keep pursuing it. I ordered my dress today. he one I tried on in the shop is a US size 18 which equates to a UK size 20 I am actually in between a 14 and 16 at the mo but leaning more towards the 14.. Could they have got it so wrong as the difference in US and UK sizes?